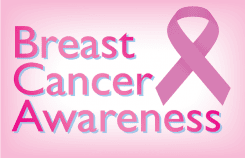 Apple Valley Medical Center Blog October is Breast Cancer Awareness Month. One in eight women, and one in 1,000 men, will get breast cancer at some point in their lives. To help reduce your risk, eat a healthy diet, limit your intake of alcohol and get regular screenings. Both mammography and MRI screenings are available at United Medical Imaging in the Apple Valley Medical Center. Call us at 952-432-6161 or visit United Medical Imaging for more information. If you have been affected by breast cancer, remember that Courage Kenny Sports & Physical Therapy has a Cancer Rehabilitation program that can help you regain function, decrease fatigue and build strength after treatment. For more information, visit Courage Kenny Sports Physical Therapy.